The Clubhouse Clubs are places to go to find like-minded members and talk about similar interests! Join or create a club here and fanaticize like a true fan! March 3rd, 2019 (9:42 PM). Edited March 3rd, 2019 by Decibel575. Just discovered this place, and I would like to vent here a little. If I'm not allowed, I will delete it if need be though. I have been diagnosed with Severe Social Anxiety and Minor Depression, although I hadn't been completely truthful about how I've been feeling to the doctor, as my mother was there and I was scared of what she would say if I spoke about it, so I'm not completely sure how true that is. I have also heard my family talking about me an autism, but I'm not exactly sure what they mean. I would say things were fine until I was 6, I was in Prep, and it is that year when the bullying that would be a staple of my life began. My classmates where always avoiding me, running away whenever I came near. I didn't even understand why since I was never given a reason. I was always alone, just walking around the school. When other kids made fun of me, I couldn't even tell my teacher because she would think I was lying. I did eventually find a friend around a year later, and things started getting better. I had joined a soccer team that was going well, I had found people I got along with. Still had people making games out of avoiding me though. When I was 10, we had to move away, which meant changing schools. I had just promised my friend that I would be back the next year as well, so you can imagine how annoyed I was. I couldn't even tell him since it was during the summer break when I found out. I was really upset, and I would find out later that when school came back, he asked the teacher where I was and he was told I wasn't going there anymore, to which he cried. I was still set on seeing him again, which is something I wanted to do for the next 6 years. It was then that things started going downhill a lot. I was speaking less with people, focusing more on schoolwork, people were always saying rude things about me, I had balls thrown at me. They even made a new disease that anyone or anything that I touch is infected. So I regressed even more. Even when someone stood up for me and told the teachers, all the people who were in on it began blaming me, and said I was just using it to get things. The teachers believed them of course. My teachers were also looking down on me while I went to this school, singling me out even if other people are doing something wrong. I had a cast over my right wrist, so I couldn't write, and I was just told to figure it out. Then I find out that my principal, who was also the principal of my old school, has been telling all the teachers that I was some kind of trouble maker, leading to more targeting. I only lasted a year and a half before I couldn't take it anymore. I didn't go to school for 5 months? I think. Then I was at a school that I would stay at for the rest of my time until college, I stood up for a younger kid while my classmate was bullying him, somehow turned into a fight. I ended up with a giant bruised face, and it was after that where my grades started going down, I couldn't understand anything the teachers were telling us. It was also during this time that I started being afraid of people, no matter who it was. Never really talked to anyone, and sat in an area away from everyone else. Teachers I liked were disappearing one after the other as well, so learning got even more difficult. Things stayed like that, with comments being made by classmates daily, for a while. I did find a new friend when I was 15, when we bonded over Pokemon, and anime, and he introduced me to a group of people who I still sort of get along with today, although they are probably only putting up with me because they feel bad. Then, I got involved with the scariest guy in the grade, he was big, around the size of the door, taller than most of the teachers, and I had heard things about him being extremely violent. I can't even remember what I did, he just started chasing me around the school, and a teacher eventually stopped it. He was told to go home, but I was leaving the office as he left the classroom with his things, and he came at me again. I couldn't get into a classroom and lock the door in time, when he grabbed me, and started choking me. I couldn't breath, and it took 3 teachers to get him off me. Other students were just there outside the classroom laughing though, which hit me a lot. The kid was expelled, as that wasn't his only assault, but other students would keep bringing it up, and acting like they didn't know what happened. I began pushing most people away after that. Then, towards the end of high-school, I see my friend that hadn't seen since I was 10. I was happy, and I began thinking that we could maybe catch up later. I spoke to him, and I realised that I was holding onto that old friendship for no reason. Of course no one would actually do that. It did sort of cut deep, and I felt like I had wasted all that time wanting to see them again. He seemed to have moved on a long time ago, and that he had just forgotten about me. Now, we get to my first year of college, where my anxiety hit an all time high, It got to the point where I couldn't leave the house out of fear, that everyone was out there too target me. That every stranger is just watching me, judging me. I dropped out of college around a third of the year through, and the mental and physical thrashing didn't end there. My own family had always been a little tough to be around, always making fun of me as well. But once I dropped out, it went extreme. As soon as they would get home, they would start yelling at me for not doing anything with my life, and whenever they asked me to do something, and I declined, they would say things like "You literally do nothing all day, you never leave the house. The least you could do is (Whatever they would be telling me to do)". Even when I was finally diagnosed later that year, they all acted like I was faking it for attention, or over playing it. They were also always making fun of my body, so I'm also quite self conscious even now at 18. Sometimes I had thoughts of bad things, but I was too afraid to do anything. My grandmother is the one that suggested I see a Psychologist, which I was afraid of, because I didn't really want to be seen as crazy. My siblings don't even know I was seeing a psychologist, as they would probably continue on about me doing for attention. My first time seeing the psychologist, I couldn't speak, or even look at her. At the time, my only source of comfort was my phone which I took with me everywhere, and I was moving it around in my hands and fidgeting. I went to see her 8 times last year, I think. I had also tried to go back to college, which a made it through the entire year somehow. I am doing a 13th year now, and while my anxiety has gone down a little, I still can't really talk to people, and I don't feel completely safe in public. I still have depressive episodes every so often as well, but things have been getting better. My family still hasn't though, but I have nowhere else to go so I just take it. But, I still feel like no matter what I do, I'll never be good enough, that everyone in my life sees me as a huge disappointment. My mother called me a burden a few weeks ago because I just said that my little sister could clean the dishes for once. I mean yeah, I see what she means. I am 18, and I Haven't even had a job yet, to her it's just me being lazy. Sorry for this long post, and sorry for ranting, I just can't seem to ever get what I'm trying to say through. If this shouldn't be here then I will delete it. March 4th, 2019 (12:19 AM). Like just yesterday she was a reason for me not to stim over an old word phobia again. March 4th, 2019 (1:14 AM). Oh really? Is it that soothing for you? It's sort of funny how characters can do that for a person. So you're doing better than before? March 4th, 2019 (1:24 AM). March 4th, 2019 (1:38 AM). I'm really glad to hear that. Personally, I use music to get my mind away from those types of things. Or I would think of what I was currently writing. 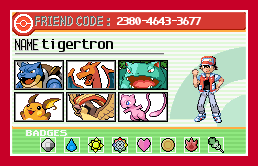 When I was younger though, I used to carry my Emerald game everywhere, even if I didn't have a DS at the time. Since my little child self thought of it as a friend. May I ask what made you like her so much? March 7th, 2019 (11:24 PM). So I've never been diagnosed (I went to a therapist when I was little but that's it) but I think I'm pretty sure I have some sort of OCD and Depression, at least. Just thought I'd pass by and join, been reading all the posts, I can relate to many of them. I hope you all are doing alright, and let's keep trying our best!! Mhm for some coping mechanisms, I usually try to focus on reading positive stories and creating characters. Usually creating characters help me understand myself better and helps me take my mind off of depressive thoughts and to channel my creativity, they work as an outlet and I get pretty attached to them. March 8th, 2019 (12:16 AM). Well, we welcome you here anyway. I've heard OCD is a huge pain to deal with, so you have my sympathy. So you create original characters? Have you written them into your own story as well? So, yesterday I was late for class, and while waiting for the bus, I see it pull over. I get on, but am unsure if I was supposed to be on yet. I stood there stuttering, until I finally see someone else try to get on. After paying for my ticket, and me telling him my destination, he said "They allowed you into college? They must have lowered their standards then". It hurt, but I couldn't say anything. March 8th, 2019 (9:47 AM). Ugh, that's mukty. Usually when things like that happen I tend to just ignore it or think to myself 'guess you never made a mistake, huh? who. cares.' I tend to do... really stupid things without thinking of the consequences, but they're always pretty nimble like that so honestly when people lash out at me I'm just like "okay yeah a glass is broken so what?" I mean, I know I did a stupid thing alright? I don't need someone lashing out at me for that, and I accept what I've done, but criticising me and making me feel bad for such a stupid thing is kinda annoying. Even worse yet when they try to correlate that with whatever muk you've done before and be like 'you're always doing this doing that' which was all in the past and it's kinda harmful to bring it up. Anyways idk if it'll be helpful for you, and I haven't really explained myself much even though I've written a lot, but there it is. Yeah, I create characters! I usually play them in roleplays or try and write stories about them. It's really fun and relaxing once you get in the mood. And it challenges you to think from other perspectives and look for stuff that you wouldn't do at all but that your characters would do. You also have to do a lot of research into personalities, quirks, body movements and whatsoever if you want to render your child faithfully. I try to give them all attention, though I have about 20 so it's pretty difficult! They serve as an outlet if you're going through a boring phase of your life and also helps me with writing and reading which I like a lot. 4 Weeks Ago (10:43 PM). 2 Weeks Ago (6:31 PM). Aww Decibel! I wish he would've let you know. >.< But alas, this stuff happens, and I hope you've been feeling better about it! Wednesday is my last day at my job. Finally had the courage to put my resignation in last month and boy did anxiety make it hard. I needed support from my co-worker/friend to actually get the courage to go in and discuss it. Must've been so red-faced haha. But it went well! Boss was happy that I seemed to know what I wanted for my future and wished me well. Fortunately I can use them as references in the future for new jobs if ever needed. 2 Weeks Ago (8:11 PM). I've been diagnosed with 1% Autism Spectrum since I was around 4. I suffer from OCD, avoidance in eye contact, repetitive pacing, intrusive thoughts, and maybe depression (a psychologist I visited a few years ago suspected that I have it). However, when I took that online Autism test shared by one of my Discord friends, it said that I wasn't Autistic, so I don't know if I've been living a lie this whole time. 2 Weeks Ago (11:00 PM). Aww I'm proud of you Janna :D It must have taken a lot of courage, so it's really commendable that you managed to push through the anxiety and quit. I'm really happy that it went well (and wish you luck for any future endeavours!). It must have been quite hard but at least it's over now, and behind you. And whilst a goodbye party can be stressful due to the attention, I do hope it goes smoothly for you and as anxiety-free as possible. Hopefully you can enjoy the food that is associated with goodbye parties at least, if nothing else! It's not my place to give medical advice but I feel like if you were formally diagnosed as being autistic, then that might have more credibility than an online test which may be more of a self-diagnosis tool? I'm not completely sure on this. But if you're conflicted and want to know, I feel like it could be a good idea to have another professional evaluation just to confirm perhaps! I'm really sorry to hear about all you've been through though. Intrusive thoughts are by far the most difficult thing I've experienced in overcoming, and I'm still trying to find the best way to treat them. I hope you find a way / have found ways to manage everything you are going through! In other news, I am finally re-seeing a therapist in the upcoming break which I am really thankful for because my anxiety + depression have been killing me, anxiety in particular. Have been on the constant verge of a breakdown for a while but tried my best to just cope with it myself (which was not a good idea now that I think about it) but here's hoping I can hold it together till then :D Slightly unrelated but also going to start seeing a facial physiotherapist for a jaw problem I've had for 5/6 years (which has caused a lot of unnecessary pain / other symptoms) so hopefully that too will improve my mental health. Am excited to finally be doing something about my mental health again rather than just coping with it and hoping for the best!! 1 Week Ago (7:41 AM). It's not my place to give medical advice but I feel like if you were formally diagnosed as being autistic, then that might have more credibility than an online test which may be more of a self-diagnosis tool? I'm not completely sure on this. But if you're conflicted and want to know, I feel like it could be a good idea to have another professional evaluation just to confirm perhaps! This is the test I took to find out how Autistic I am. I scored about 10/50 from the result, which indicated that I'm not that Autistic. I'm really sorry to hear about all you've been through though. Intrusive thoughts are by far the most difficult thing I've experienced in overcoming, and I'm still trying to find the best way to treat them. I hope you find a way / have found ways to manage everything you are going through! I've been partaking in a local community catalyst, which helps me cope with my mental illnesses and learn to be more independent. 6 Days Ago (7:13 PM). Life is overall moving in a positive direction. I get by with money. My friends and family are good to me. I have a good boyfriend and healthy pets. I am in a creative period artistically. I have also some exciting events plans to look forward to. The trouble is I'm having flashbacks of an abusive ex sometimes. He can pop up in my mind when my life is at my most hopeful, he's like a little demon who just can't let me go. A dating counselor told me this is a normal reaction to trauma and part of our defense system i.e if you've been attacked by a bear while walking a trail, your mind will make you think about bears for your protection, even as you walk a peaceful outdoor trail. I was in a relationship where I was hurt, bullied, humiliated, controlled and blackmailed. The shame of what he did to me and what I watched him to do others all comes back to me sometimes when I am alone, and it feels like a fresh wound that happened this year. I feel angry at myself that I did not stand up to him earlier. I wish I had never met him. 3 Days Ago (1:57 AM). I'm sorry to hear this happened to you and it's something a person should never have to experience. I'm happy to hear your life is moving in a positive direction now. The only mental health issues I have is anxiety and a lack of confidence (not the best attributes for a paralegal) but I'm much better than I was before. I used to attend group sessions on how to manage and deal with stress and it really helps to talk about it and knowing that you're not alone helps too. Mindfulness is a good technique if anyone hasn't yet tried it. I recommend the head space app. 2 Days Ago (11:33 AM). Thank you for your kind words and advice. I'm going to download that head space app! Reading about Buddhism has also been helpful to me. This of course won't be the path for everyone, but the exercises have opened my eyes personally. I have anxiety too. In the past I did group therapy too, so we have that in common. Right now I have switched to meds. I just wanted to say that I think you are courageous to share what you are going through, and it sounds like from what you described you are proactive. I know that you are dealing with anxiety and feeling underconfident but you are still able to be paralegal, and not everyone would be able to manage the stress levels, so I admire you. 2 Days Ago (2:54 AM). It took a month and some extensive life changes but I finally got free from a highly abusive relationship and I’m slowly building myself up again thanks to some new meds, a great therapist, family support, and better coping skills. I’m tentative to admit it but I think I might be doing better! 1 Day Ago (1:19 AM). Let me know how the mindfulness works, it might take some time to get used to it, but if it doesn't reduce your anxiety, it should make you rather sleepy. My firm offers mindfulness sessions every month and I go as often as possible; but yeah, the app is good because you can practice it in your own home or somewhere where you can be comfortable. There are some good Youtube videos too! 1 Day Ago (3:02 AM). Edited 1 Day Ago by Fairy.